In this short 5 minute screencast I'll show you how to use 'Orcas' Beta 2 to create a Word 2007 template file with a custom ribbon bar using the visual designer. I then will customize the button on the ribbon bar with an Office icon showing you how to find the name of the icon you want to use. Amazing tutorial. Thank you. 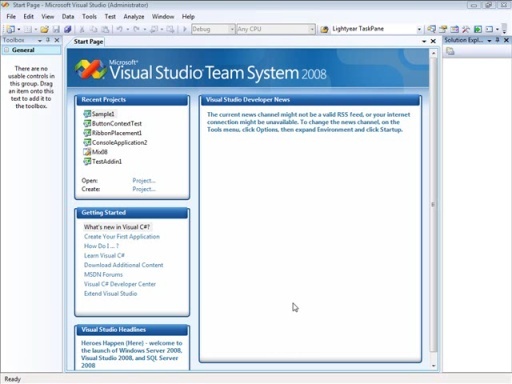 I'm newby with Visual Studio. It's my first try and almost everything worked till the end. A problem though: the ribbon I created it's not integrated in Microsoft Word an I can't load it, I mean, I don't know how to do it. 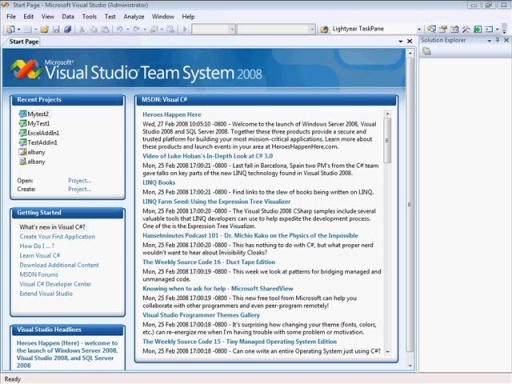 It's located in My documents\visual studio 2008\projects\Hello template.dotx. I thought that at the end of the process, after building the project, it would be automatically integrated in Word, but it wasn't. Then I tried to load it through word options, complements, add template, but it didn't work Thank you in advance. Thanks a lot for this tutorial. I managed to build the new ribbon but I don't know how to load it in Word 2007. I thought it would load automatically. Thank you if someone could help me. I invested quite a lot of time and effort to build the project and now it's a pity I can't test it in Word. May be the problem is I added to the button an image of mine instead of an Office Icon, but the building of the project went perfectly OK and now I have the new ribbon and the template in my visual studio 2008 projects folder. The only problem is I can integrate it with Word. Thanks for checking out the Screencast, I hope you have a chance to take a look at some of my other ones as well. Let's see if I can answer your question. It sounds like you created a new Word Template with Visual Studio and added a custom Ribbon to that as well. Once you've completed this you should be able to press F5 to run the application, which just launches Word and loads your template. If you do this, do you then get your template and the Ribbon bar loaded? You rnext step is really to "publish" your template and add-in to users. From "Build" choose "Publish <TEMPLATE NAME>..." and walk through publish wizard. Once you've published you should be able to have anyone install the package and get both the add-in ribbon and word template.